Make salads fun with these convenient shaker cups! 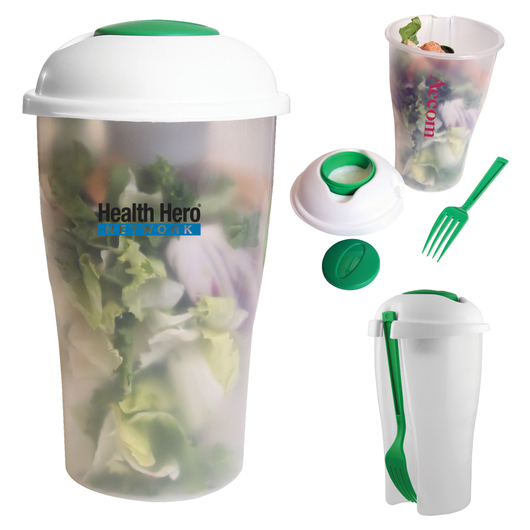 With a few shakes you'll be enjoying your favourite salads in no time! These shaker cups have everything you need to enjoy a salad, holding salad and dressings in separate compartments, allowing you to easily mix them when you please. They also come with a handy plastic fork that clips onto the side of the shaker. 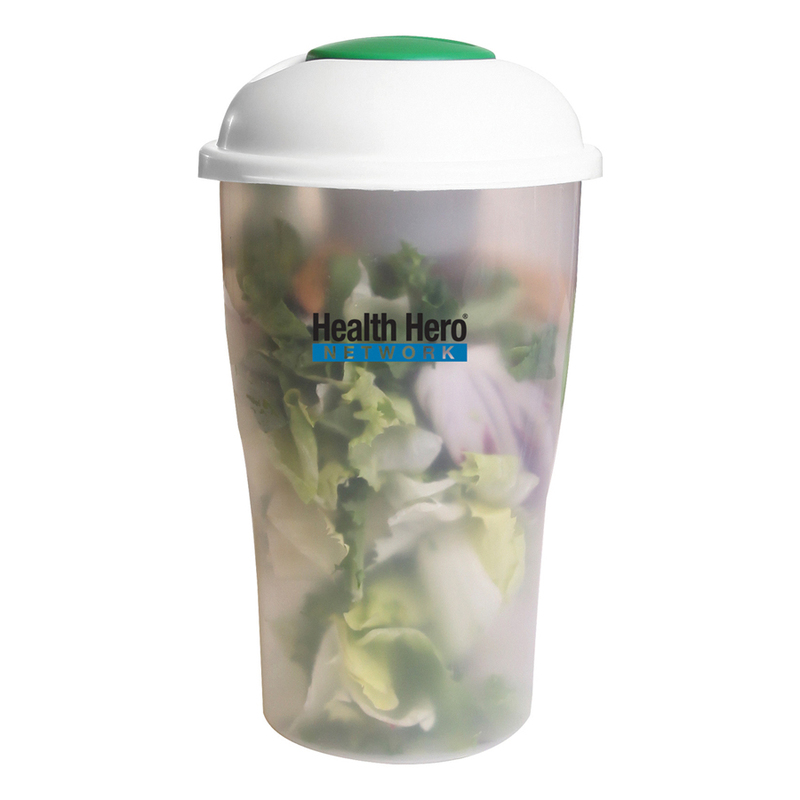 An easy item for eating lunch at work, school or on the go!